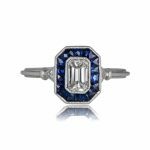 A beautiful halo engagement ring, inspired by our designers with influences from England and centered with a lively 0.51-carat emerald cut diamond. 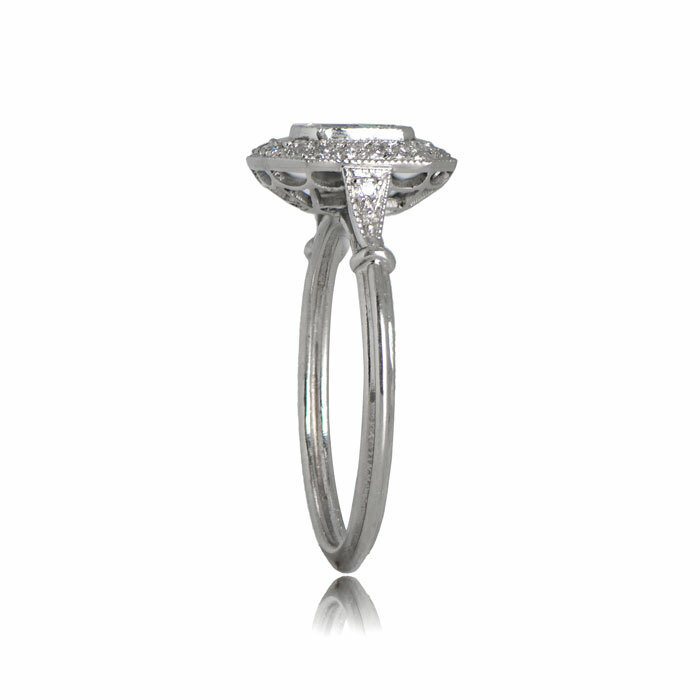 The triple wire shank and milgrain add to the delicacy of the ring. 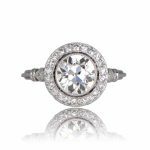 The center diamond is approximately 0.50 carat, H color, and VS2 clarity. 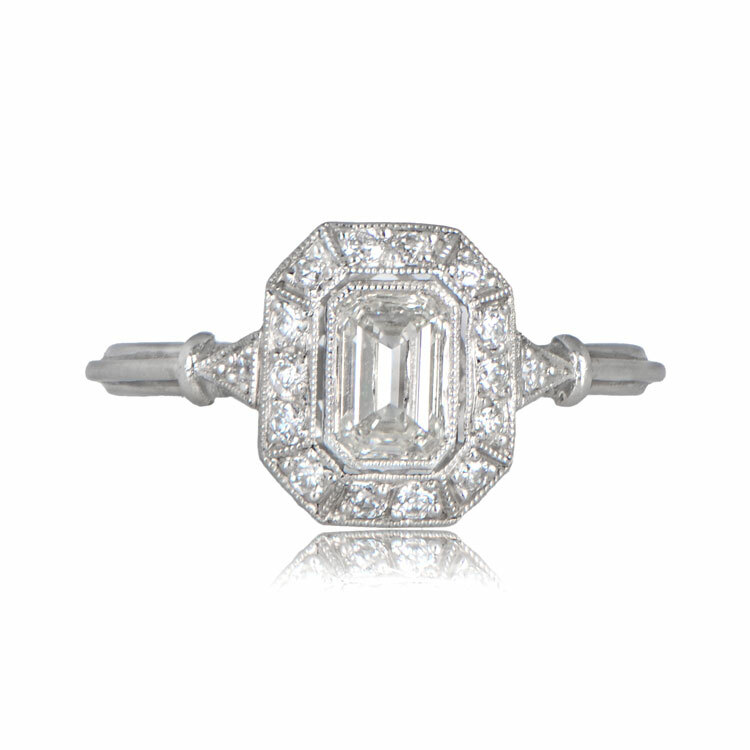 There are an additional 0.36 carats of diamonds of the mounting. SKU: 12022 Categories: Asscher Cut Engagement Rings, Vintage Engagement Rings - Contact us and request additional pictures.